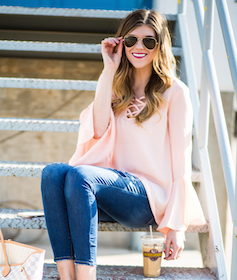 Boyfriend jeans y’all, there are all the rage right now and lemme tell you…I am not mad about it! I mean come on, who is going to complain about a slightly baggy jean? Uh not me! Don’t get me wrong. I love all jeans, but for years I have only worn skinny jeans and as we all know sometimes those can get uncomfortable! 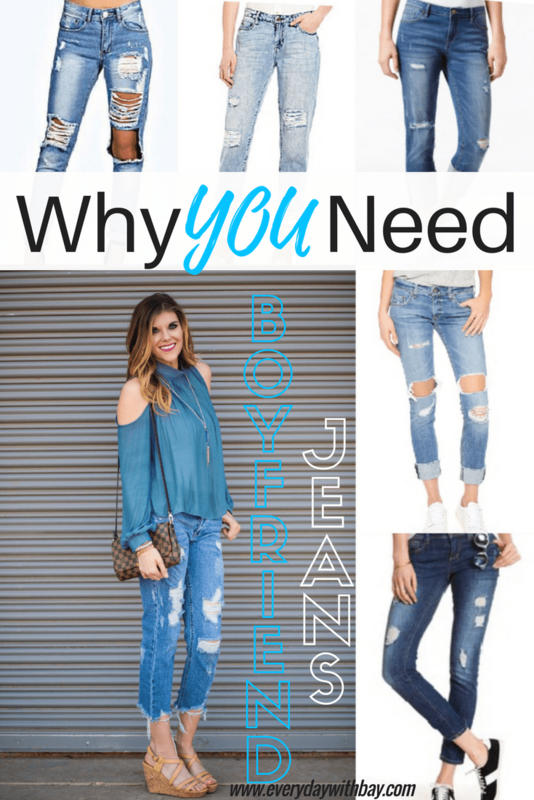 Let’s just say my “mom-bod” was singing all the praises when I saw boyfriend jeans comin’! I mean they are adorable, you can eat a few more chip & queso and still rock the lastet trend! Now thats a win in my book! I partnered with a local boutique to show y’all the most adorable distressed boyfriend jeans ever! They are almost like capris on me because well I’m 5’10 and basically have no torso and just legs, so theres that! BUT they are seriously so cute and I have gotten so many compliments on them! Forget Me Knot is a local boutique that carries the most fashion forward items you an get your hands on, owned by Amy, sweetest (most adorable) person like everrrrr! So y’all head over to Forget Me Knot and shop your hearts out! Amy is even offering a coupon code for all EDWB readers! Enter “Bay15” at checkout for 15% off entire purchase! She even ships so y’all girls who aren’t local are set! Also join her exclusive group on Facebook here! Shop by clicking the images! Pictures provided by Kingdom Come Photography! Hope y’all enjoy!! Please pin this image, it helps my reach grow!